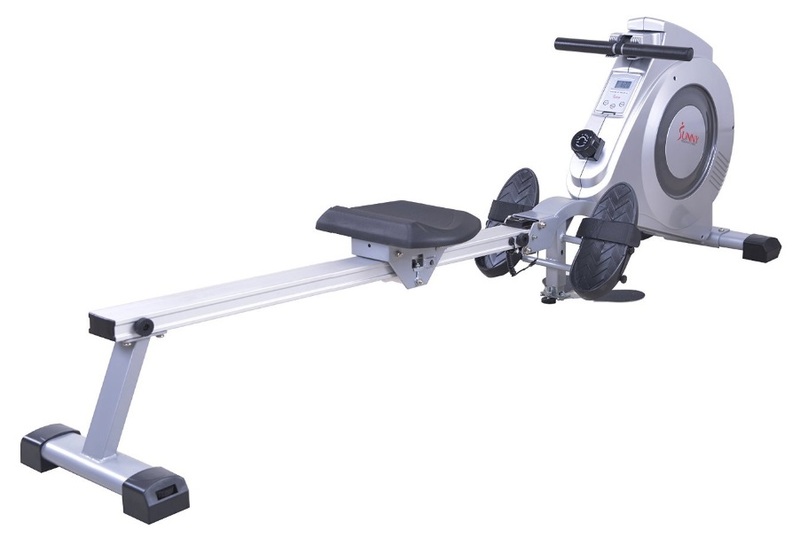 The Sunny SF-RW5612 is the latest budget model from this fast-growing brand in rowing machines. 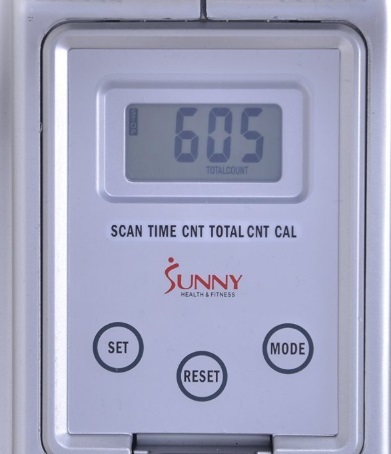 When Sunny first appeared with the ultra-low-cost machines they were to be honest a complete waste of time and money, or garbage in other words. But with the addition of the SF-RW5515 in 2014 things started to look better and we have no issues with recommending it to those on a tight budget. 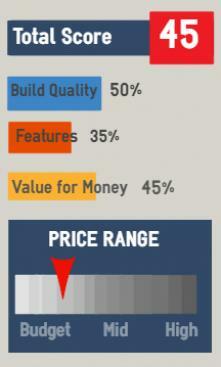 So what about this model? At the higher end of their rowing machine range we'd be expecting more than the rest on the market. So here's our thoughts. Technically, this isn't a folding model so if you're short on space it may not be for you. If you really must have this one, it is possible to fold it but only by part-dismantling the machine which will soon become a pain in the 'you-know-what' so better look elsewhere. It's not the easiest machine to assemble and definitely needs two pairs of hands when it comes to attaching the rail. The instructions are straight forward and will take around 45 minutes before you're ready to row. But as we've said elsewhere, assembly is a job you'll only do once (unless you move) and so it shouldn't be a major factor in your buying decision. Once in the saddle (well on the seat) you'll find it's a reasonably comfortable machine to use. It has an average height seat so it's not too difficult to get on or off if you have knees issues. 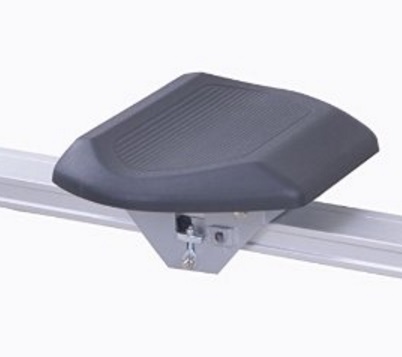 The footrests will keep your feet secure so they won't slip around when rowing. The handle is thick and well-padded to prevent hand blisters. If you're 6' 2" or less, the rail is long enough to get a full stroke length - essential to get the full benefits from the machine. If taller you'll have to spend more - see our Help Guide for choosing a rower for the long-legged. It's a fairly quiet rower because it's a magnetic resistance machine but our seat had an annoying squeak coming from the bracket beneath. This may have been something unique to our model and most people row to music which may drown it out any way. There are eight resistance levels with an acceptable range between the two. Often with budget models you don't notice much difference between the top and bottom, but this has enough to give you variation in your workouts. 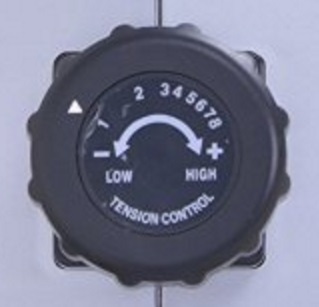 You select the level using the knob below the LCD screen - basic but effective. The SF-RW5612 also comes with 'dual function' footplates so you can stand and use the handle for bicep curls. This in our view is just a gimmick and waste of time, but some may like the option of an extra workout. But seriously, if you want to work your biceps, get a pair of dumbbells and you'll have far more exercises you can do. Now onto the monitor/ display - but don't hold your breath. When paying less than $500 you can't build up your hopes for a high-tech, all-singing and dancing console and display unit. If you keep that in mind then you won't be disappointed because it is a very basic one indeed. It displays the time you've been working out, the number of strokes and calories burned (although this is purely an estimate) and you can set it to scan mode to change the display every 6 seconds or thereabouts. The LCD screen is small but easy to read when rowing. But otherwise it's a no-frills monitor you'd expect to find on most lo-cost rowing machines. If noise isn't an issue for you, the Stamina Air rower is a tough machine for a little extra that will last for years. If you want a quiet rowing machine, the Stamina 1130 magnetic has some great features for a good price.